San Francisco is known for sightseeing, nature, museums, parks, and historic sites. Your plan includes some of its best attractions: snap pictures at Golden Gate Bridge, stroll through Alcatraz Island, catch a ride on Cable Cars, and explore and take pictures at AT&T Park. 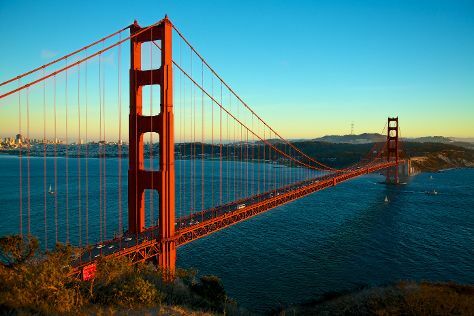 To see more things to do, where to stay, maps, and more tourist information, go to the San Francisco vacation planner. Greenville to San Francisco is an approximately 8.5-hour combination of taxi and flight. You can also drive; or take a bus. You'll gain 3 hours traveling from Greenville to San Francisco due to the time zone difference. Traveling from Greenville in June, expect San Francisco to be little chillier, temps between 71°F and 55°F. Finish up your sightseeing early on the 4th (Tue) so you can travel to Portland. 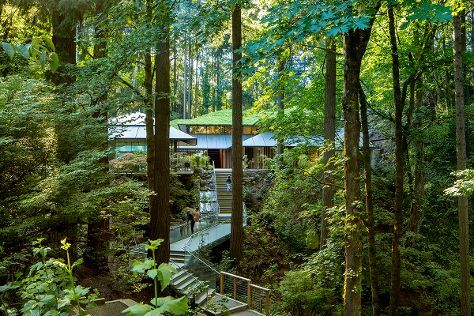 On the 4th (Tue), take in nature's colorful creations at International Rose Test Garden, take in nature's colorful creations at Portland Japanese Garden, and then stop by Powell's City of Books. On the 5th (Wed), you'll have a packed day of sightseeing: meet the residents at Oregon Zoo, steep yourself in history at Pittock Mansion, then appreciate the extensive heritage of Eastbank Esplanade, and finally tour the pleasant surroundings at Laurelhurst Park. To see photos, other places to visit, where to stay, and more tourist information, go to the Portland holiday planner. Fly from San Francisco to Portland in 4 hours. Alternatively, you can drive; or take a bus. Expect a bit warmer weather when traveling from San Francisco in July: highs in Portland hover around 81°F, while lows dip to 59°F. You'll have a few hours on the 6th (Thu) to wrap things up before traveling home.